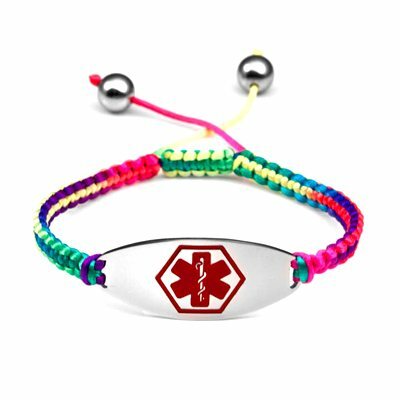 You will enjoy wearing our Rainbow Tropic Medical ID bracelet made of braided macrame satin and is adjustable with a drawstring to fit wrists between 6 - 9 inches. 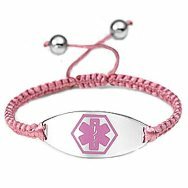 Stainless Oval medical ID tag features the "star of life" medical emblem in WHITE, RED, or BLUE Handcrafted, pattern of colors may vary. 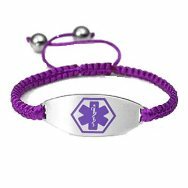 No further discounts on this laser engraved product.